I’d go for Ed Byrne. He did his own style of comedy which was a mixture of one-liners and stories and gags, a really beautiful mix which always had audiences in the palm of his hand. He could tell stories which might not have many gags in them but they were still really funny and had your attention the entire time. The first time I saw him live was at the Adam Smith Theatre in Kirkcaldy when I was 12, with my dad and my mate Craig. It was one of my first ever live stand-up gigs; I’d seen it on telly and knew I liked it, but seeing it in a live theatre environment with an actual audience built a passion in me. Ed Byrne was the one to inspire me to do stand-up and the person who inspired me to be better at it was Tom Stade. He lives quite close to me and he asked if I wanted to do some writing with him. I didn’t know what to expect because I’d only ever just sat down on my own to write my stuff. But the way he writes material is exceptional and he sees the potential in a lot of jokes that I would have doubts about or think wouldn’t really make sense. But his opinion is that if it makes you laugh, then just do it and he’s really helping me write material that is properly me. King’s Theatre, Glasgow, Sat 31 Mar. 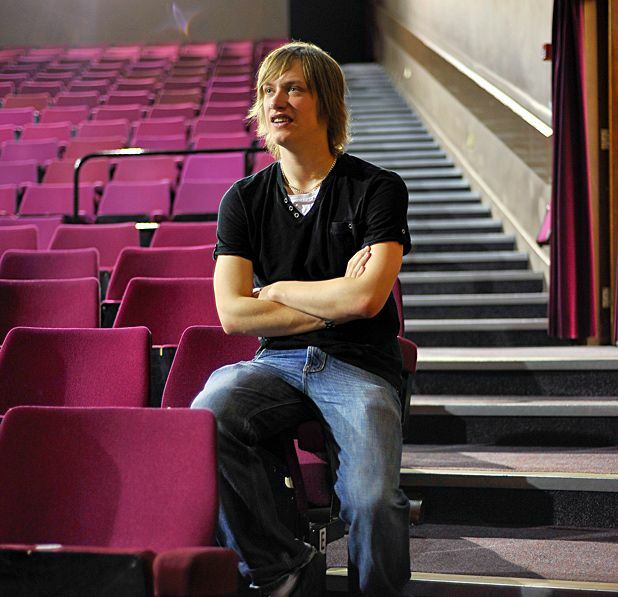 That there Daniel Sloss continues his epic comedy rise with his new show The Joker.